The project proposes to integrate public policies on food and nutrition security and health by promoting a coordinated social network (SANS Network) that integrates, produces and discloses knowledge and technologies for nutritional monitoring and promotion of an appropriate, healthy and caring diet in the communities of municipalities of the State of São Paulo. This network will consist of local intersectoral teams. The project will also assess nutritional monitoring actions and outcomes in the context of the Food and Nutrition Surveillance System (SISVAN) of the State of São Paulo and make proposals where necessary. The work will contemplate the development of social technologies and epidemiological research on food and nutrition aimed on food and nutrition security (SAN). The research has been approved by the Research Ethics Committee of Botucatu’s School of Medicine. The research activities will only begin after approval from the local authority. The study will be developed on two independent fronts. One front will be specific for research and the other for the coordination of the SANS Network. For the research, an initial group of municipalities has been selected statistically to express a representative sample of the municipalities of the State of São Paulo, stratified by region and number of healthcare facilities by municipality. The regions were delimited according to the Brazilian Institute of Geography and Statistics (IBGE) criteria. The municipalities were grouped into 6 regions for research coordination. The social actors of a second group of municipalities will be invited to participate in the coordination process of the SANS Network. In this case, the cities were chosen according to convenience, and included the municipalities where local social networks were already somewhat coordinated, or had proponents of the project. This means a greater concentration of municipalities in the regions that comprise the citizenship territories. The inclusion of food and nutrition security in the municipal agenda is a challenge for local social networks, which will be supported by the three levels of government. Political mobilization will be done by the Institute Harpia Harpyia (INHAH). This work has already begun in a seminar back in 2009. Before this, in 2007, the coordination of primary healthcare workers of 13 municipalities in the region of Piracicaba began and, in 2008, there was a seminar for 40 municipalities in the State of São Paulo generating a demand for the present proposal. In 2008 and 2009, the social actors of the regions of Araraquara, Marília, Botucatu and Ribeirão Preto became involved. The coordination of this work has been under the responsibility of nutrition professors and trainees from UNIMEP, UNIARA, UNIMAR, UNAERP and UNESP. The survey will be done in primary healthcare facilities and involve their managers and employees. An assessment of the databanks of the state of São Paulo (SISVAN, IBGE) will be included in the study based on information regression, tendency and scope analyses. The procedures for this analysis will be detailed and supported by specific consultants. The instruments for data collection will be defined in the first phase of the work and based on the review of validated instruments. Data and information will be collected by questionnaires administered to the municipal manager, facility manager and healthcare team members. The agreement between anthropometric data obtained by primary healthcare facility personnel and that obtained by a tester trained by the research team will also be assessed according to an established method . Among others, the following information will be collected: quantitative and qualitative information on the anthropometric measurements done at the facility, records and flow of said information, food and nutrition surveillance actions, data use, operational difficulties and eases and integration between the primary healthcare facility activities and other social services available in the community. All steps for data collection and recording and agreement assessment will follow the MH/WHO guidelines. All data will use the primary healthcare team as georeference. The population in the catchment area of each team will be determined according to IBGE’s census areas. Reference maps on information scope and data quality will be created, having the healthcare teams as sampling unit. Other maps may be created as the assessment of the results progresses. All information will be treated statistically, including anthropometric data agreement, regression and tendency analyses, and comparison among proportions, means and medians according to the nature of the data. The focal groups may be used as diagnostic tool depending on the initial design of the study. The SANS Network will consist of the local networks of each municipality. The interactions and connections of the local networks will constitute regional coordination. Regional coordination will represent a space for the interaction of the social actors of these territories, working for defending and promoting the human right to appropriate and healthy food, using a development model of sustainable food and nutrition security. The SANS Network does not depend on a physical structure. However, it will be referenced and supported by institutions with known regional representativeness. These instances will be integrated to compose a greater and more complex network, mostly favored by the possibility of multimedia communication. Regional coordination will provide support for the local networks, respecting the natural organization process and mutual help, and the particularities of each region. In this sense, the process should be decentralized, have no hierarchy and connect people around a common objective which is the construction of knowledge and technologies for nutritional monitoring and promotion of an appropriate, healthy and caring diet in the community, in the broadest and most comprehensive sense of the theme. The local networks will gather representatives of the community and of all segments of society that interface with food and nutrition security issues, and, when possible, count on the participation of professors and students of the educational institutions of the region. The local coordination process will be managed by local coordinators and undergraduate grantees, selected regionally, and have the support of a regional coordinator. The coordination process of the local food and nutrition security network will seek integration with the already established networks throughout the territories of the Unified Healthcare System. The local coordinator must be someone who is dedicated and committed to the purposes of the network in the catchment territory of the project in each of the participating municipalities. The regional coordinator in each area will be a grantee of the project, preferably someone who already belongs to the regional social network. Researchers from different areas will also be included in the project team. The INHAH will support the project team conceptually on issues related to food and nutrition security and mobilize people in the different regions to join the project and the SANS Network. Virtual environment – There will be a virtual environment for the disclosure and sharing of experiences, data, doubts, conquests and difficulties of the social actors of the SANS Network. The site will consist of the “landscape photograph” of the SANS Network composed of the social networks of 27 municipalities and of the regions. The site will have areas of free and limited access. Access will be limited in the areas of self-organized groups according to tasks, constituted and/or required by the local networks. There will always be free-access space for people to make suggestions and share their opinions on the work of the local networks. People will also be free to join the work groups that constitute the local networks, but will depend on their individual commitment and involvement with the objectives of that group. Likewise, the objective of each group connected to the virtual environment must be in line with the objectives of the networks, which will communicate through this environment. Therefore, the 27 local networks will feed the virtual environment and be fed by it through videoconferences. Blogs, discussion forums, videos, documents and everything mutually agreed upon that is useful for communication and construction of the necessary knowledge for achieving the objectives of this project are welcome. Depending on the complexity and size of the municipality, the social network of the municipality may have one or more interconnected groups. A communication and education (educommunication) laboratory will provide support. UNESP will develop and host the virtual system and provide training for its users. For this purpose, the educommunication laboratory will provide expert technicians. The virtual environment will also have free-access material such as a library, videoconferences, classes and courses. This material will be produced or organized by the laboratory and by research and development groups on health and food and nutrition security. The virtual environment will also have a discussion forum on food security and promotion of the human right to appropriate and healthy food under the responsibility of INHAH. Mapping of the social actors (people and institutions) of the formal and informal health and food security networks who work in the catchment territories of the project – In the second month of the project, the work in the municipalities will be disclosed and between the third and fourth months, partnerships will be established so that in the fifth month, local coordinators will begin training for using communication tools. The first actors of the local process will be identified by ample disclosure of the work in the municipalities. In this phase of identification and promotion of the local network coordination, actors and initiatives interfaced with the objectives of the network will be selected. Much care must be taken in the communication process so that nobody and no segment feel excluded, much less, exclusive. Each identified person and initiative will be included in the map of the location with the support of the georeferencing experts of the group. At the beginning, this mapping will be nominal, but as the project progresses, it will consist of a diagnosis of the community assets and needs. Local workshops will be conducted, supported by specific techniques such as the Fast Participative Diagnosis. Intra and intermunicipal work groups may be organized for instrument adaptation and carrying out surveys. The diagnosis of each municipality will culminate with the creation of an action plan and a local agenda endorsed by everyone in the local network. This phase of the work will be benefited and will benefit the work of the research team. Field work will occur between months 9 and 12 of the project, when a sketch of the local map should be available. Training process – To work in the network, it will be necessary for everyone to collectively understand and construct the concept of network, select communication tools (technologies) and learn to use them. This process will begin with the project, will affect the project team and all those involved, and will be supported by experts in social networks and computer technology when necessary and remotely. Every person joining the network will need to agree with the objectives of the network and work methodology. This is the first in-person activity with the coordinators of the 27 municipalities. These coordinators, aided by a trainee, will pass on this knowledge to the people who join them. At the same time, the educommunication laboratory will provide distance teaching and support. The inclusion of experts from the areas of nutrition, agronomy, medicine, nursing, physical education and psychology was prioritized for the educommunication laboratory team. With this team’s help, it will be possible to create and operationalize reference protocols for sustainable food and nutrition security in the community starting at primary care, subsidizing the local agents involved in the implementation of the Family Health Support Centers (Núcleos de Apoio à Saúde da Família – NASF – Ordinance nº 154, from January 24, 2008). One of the first tasks of the local networks will necessarily be the determination of the information technology resources available in the catchment area of the project. If these resources are not available where the people work, partnerships will be necessary for the democratization of this type of communication. In terms of tools, the communication resources of UNESP will be available (TV, distance teaching platform, videoconferences). However, we have not discarded the use of freeware that can make communication easier. This will depend on a previous assessment of the information technology conditions of the location. Debates, seminars, workshops, lectures and free studies can be included in the training process. These activities will be available in the virtual environment for everyone involved or free for all. In the in-person formation process of the local coordinators, a tutor will help them develop a study program. These activities will include the contents and practices of the social networks. The project team will have a study group on the themes of interest for the understanding of project objectives, such as social networks, the process of producing knowledge, human communication, health-disease process, hunger and overeating, environmental preservation, among others. These themes can be developed by researchers in the project team or by guests. These discussions will be available for everyone in the virtual environment. ONIS, M.; ONYANGO, A. W.; BROECK, J. V.; CHUMLEA, W. C.; MARTORELL, R. Measurement and standardization protocols for anthropometry used in the construction of a new international growth reference. Food and Nutrition Bulletin, The United Nations University, v. 25, n.1 (supplement 1), p.27-36, 2004. Despite all effort made to reduce inequalities, Brazil continues to list among the countries with worse distribution of wealth in the world, which may be attributed, at least in part, to the dictatorial regime to which Brazil and other Latin American countries have experienced. But this same regime may also be accountable for strengthening the people and provoking reactions that culminated in important legal, democratic conquests, improving life conditions. However, people’s participation in this process is still very fragile, which hinders the perpetuation and effective actualization of the conquests made by the 1988 Constitution, whose precepts are slowly being incorporated in the main policies of the Brazilian state. Projects and programs with varying catchment areas and almost no interaction stemming from these policies are being developed in different territories. The absence of coordination between state and civil society actions done in communities is even greater, generating an almost irrational use of resources, since there are usually no indicators capable of measuring the impact of these actions, regardless of resource origin. The concept of territorialization has been employed in the management of public policies, especially with regard to public health, focusing on surveillance practices. The community is linked to a territory where social, economic, political and cultural relations are established. Hence, a territory is defined by social and institutional practices, as a result of the integration effort of different actors with common interests. The present project tries to coordinate the local social networks by combining the food and nutrition security actions in a community, using the Unified Healthcare System (SUS) network as the starting point. Seen from another angle, the project attempts to coordinate a social network that will combine the actions of the primary healthcare services with the food and nutrition security actions in the community. Social networks are characterized by distributed, same-type, non-hierarchized relationships: a horizontal web of interconnected people that regulate their connections. In this sense, the SANS Network will represent the horizontal interactions among people. However, these people will need to get support from their institutions. The SUS structure in the state facilitates this task. This work is being supported by the Department of Health of the State of São Paulo and by regional health departments, in addition to other universities throughout the state. Although the life conditions of the Brazilian people have admittedly improved, there are still many Brazilians who do not enjoy their citizenship rights. The state of São Paulo, despite being one of the most developed states in the country, has an important inequality in the distribution of wealth and among intra- and intermunicipal development indicators. 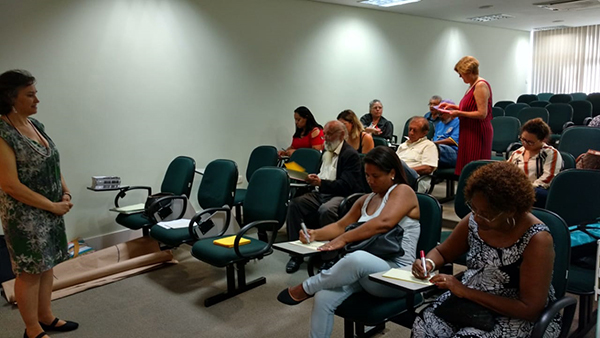 Of the 645 municipalities of the state, 69 were included in the program “Citizenship Territories” of the Federal Government; of these, 29 are in the region called Pontal do Paranapanema, 25 are in the Vale do Ribeira and 15 are in the Sudoeste Paulista. Since the 1980’s, many authors have criticized and proposed alternatives for defending the development of information and nutritional surveillance systems involving the health sector and organized sectors from the civil society. The Unified Healthcare System includes a nutrition surveillance system. However, the implementation of SISVAN (Food and Nutrition Surveillance System) is still a challenge and methods for the collection and systematization of data still need to be developed and effectively implemented. A new version of the information system, SISVAN WEB, was made available for the municipalities in 2008, and works in parallel with SISVAN Bolsa Família. The effective implementation of SISVAN WEB is one of the challenges accepted by the Ministry of Health, which has provided resources for the municipalities to structure the local services, in line with the activities proposed by the present project. Combination of social network actions by the SANS Network shows the importance of constructing a comprehensive proposal that incorporates all the aspects of food and nutrition security, potentiating the coordination between public policies and social movements that are already in place locally and regionally. In this context and backed by the guidelines of the Lei Orgânica de Segurança Alimentar e Nutricional (LOSAN) (Law n. 11.346, from September 15, 2006), one of the strategic actions of the Ministry of Science and Technology (MCT), Department of Science for Social Inclusion (SECIS) and General Research and Development Coordination of Food and Nutrition Security (CGSA) is subsidizing and implementing scientific, technological and innovative policies that focus on programs and actions to develop social food and nutrition security technologies; their objective is social inclusion and reduction of regional inequalities. Hence, promoting the organization of the SANS Network, which consists of the social networks virtually linked in the territory of the state of São Paulo, is justified. The instrument for such coordination will be a site hosted by UNESP Botucatu, in an attempt to bring academia and social issues closer together, with the potential of expanding and being implemented in other regions. Since early times, nutrition has been treated with interest by the public health field. The Universal Declaration of Human Rights, passed on December 10, 1948 by the General Assembly of the United Nations, in Article XXV, characterizes food as a universal right: “Every person has the right to a standard of living capable of ensuring himself and his family health and wellbeing, including food…” (ONU,1948). In 1951, the development of the International Covenant of Economic, Social and Cultural Rights (ICESCR) began, and was adopted by the General Assembly of the United Nations who, in its Article 11, “recognizes everyone’s right to an adequate standard of living, (…) including adequate food” and “the fundamental right of everyone to be free from hunger…,” defining what is necessary to achieve the human right to proper nutrition. The Declaration of Adelaide established food and nutrition as being one of the main areas for promoting health (FERREIRA e MAGALHAES, 2007). In Brazil, Article 5 of the Constitution states that food is an inviolable right for sustaining life, making the State responsible for materializing the human right to proper food, which includes the promotion of health and food and nutritional security. Hence, like food, health is also an unalienable human right granted by the Federal Constitution (Brazil, 2002) and executed by the creation of SUS, in 1988, consolidated by the law Lei Orgânica de Saúde nº 8080 of September 19, 1990. The National Food and Nutrition Policy (PNAN) is within the scope of the National Health Policy, promulgated in 1999, which proposes specific actions for the health sector, and constitutes an essential technical and political instrument for the operationalization of food and nutrition security and to ensure the human right to proper food. The Food and Nutrition Surveillance (VAN) as a strategy for monitoring the indicators associated with food and nutrition of the population has been in focus internationally since the 1970’s (OPAS, 1989). VAN’s proposition stemmed from the goals established by the World Health Organization (WHO), known as “Health for everyone in the year 2000,” resulting from the successful proposals of health models adopted by many countries and based on preventive practices and practices that promote health and nutrition (GIOVANELLA, 2006). In Brazil, VAN was officially instituted in 1990 as the Food and Nutrition Surveillance System (SISVAN). It occurred in the context of the Brazilian sanitary reform, whose main outcome was the organization of SUS, founded under the principals of integrality, universality, equity and popular participation. SUS implementation and regularization and the subsequent formulation of the Family Health Strategy (ESF) in Brazil imposed changes on the model of care and surveillance practices, bringing health and nutrition actions closer to the communities (DOMENE, 2003; BRASIL, 2003; ASSIS et al, 2002). The model points out the protagonism of the community and the search for recognizing the people’s potentials. Particularly in the area of nutrition, users of primary healthcare facilities, while active with respect to their own development, can obtain more elements to face food insecurity when supported by healthcare teams (FERNANDES, 2004). SISVAN was proposed as a public policy in Brazil with the objective of “supplying continuous information about the food and nutrition conditions of the population and the factors that determine them, as well as to propose intervention alternatives,” in addition to subsidizing the “political decisions regarding the planning and management of programs associated with the improvement of food intake patterns and nutritional status of the population” (CASTRO, 1995). However, there are many problems in the design of this policy that need to be investigated locally and globally. Among the known obstacles, one can highlight permanent nutritional monitoring centered in the obligation of feeding SISVAN with data obtained by the municipal primary healthcare network, in order to meet the conditions imposed by the greatest wealth distribution program of the country, the Bolsa Família (BRASIL, 2004). The Brazilian experience with the implementation of the human right to proper food (HRPF) has advanced significantly in the last two decades and these advances are greatly due to the mobilization of the organized civil society. Concomitantly, it is undeniable that the State has been performing a decisive role for the attainment of these advances, with the gradual inclusion of food and nutrition-related issues and HRPF in the national political landscape. However, promotion of human rights, including HRPF, is still irregular and incomplete, which reinforces the need of greater improvement of efficient fighting strategies to achieve it (VALENTE; BEGHIN, 2006). The public policies for arranging SISAN are concentrated at the core, so the existence of food and nutrition security systems at the municipal, state and federal levels is essential. This takes into account that the local space is, in principal, one where public food and nutrition security policies should materialize in order to achieve an equitable food standard for the population. The local organizations and participative policies will be better able to promote social inclusion, since the development of food and nutrition security stems from “new values socially constructed and shared” (ALMEIDA; PAULILLO, 2005). The success of the food and nutrition security and HRPF policies will thus depend on the efficiency with which the local and regional arrangements are done. Territorialization is the base for implementing healthcare actions. It consists of recognizing a territory by understanding the relationships that occur in its population and how and in what measure its quality of life is affected by these relationships. Hence, territorialization is an important tool in any health-planning process (GONDIM; MONKEN, 2002; GONDIM et al., 2008). Meanwhile, the formation of networks is founded on a process that may occur in many different ways: by coordination of basal organizations, formation of common-interest connections, affinity towards a common interest and coordination of public departments and public or private institutions. Many forms and types of networks exist in a given territory: spontaneous, social and communal, social movements, public and sectorial, private services, regional, intersectoral, and sectorial networks that organize to meet the needs of the more vulnerable individuals of a given society (BOURGUIGNON, 2001). Networks provide support for individuals and their families, involve mutual help and reinforce positive points related to social relations (ANDRADE; VAITSMAN, 2002). Therefore, facing food and nutrition security issues using the HRPF focus cannot let go of the contribution and involvement of all sectors of society for constituting dynamic networks that program and reinforce the progressive and ever growing accumulation of social capital (MARTELETO, 2001). In the present project, the social network already exists. The aim is to expand and strengthen the possibilities and multiply the connections by connecting people who are already interacting in the virtual environment and expand the possibilities of connection, and hence the ways in which messages can travel. Today the connections are limited. At the state level, they happen only among researchers of various higher education institutions. At the municipal level, they occur among many actors involved with food and nutrition security and health. An interesting example is a process that is currently happening in Piracicaba, where there is an important interaction among the actors involved with food and nutrition security and health policies, a process that began in 1995. Other municipalities, such as Araraquara and Botucatu, may also be cited as examples. It is interesting to note that in these municipalities, university professors and students facilitate the process. For this reason, we believe in the academia’s potential to promote local development, with which we justify the number of university students of each region whom we intend to involve in the process. SISAN’s consolidation process is still under construction but can lead to important changes in the Brazilian political and economic structures. SISAN must assume the relationship state/civil society privileging intersectoral interactions, coordinating decentralized programs and actions which are also independent from the three governmental spheres. The entire society must be involved, both as agents and as actors of actions that attempt to ensure food and nutrition security and HRPF. The final objective is nutritional security and the possibility of sustainable lifestyles resulting from the adoption of universal policies (PINHEIRO, 2008). The challenge of constructing SISAN includes the mobilization of people and institutions who are already working on the issue, the search for effective partnerships with universities and research institutes and the production of knowledge and educational material that provide tools for public, private and volunteer agents to perform the task. The incorporation of isolated actions into policies that are already under development in the different governmental spheres is also included, in order to potentiate the results that are already being obtained by the construction of public policies committed to quality of life and social inclusion. ALMEIDA, L.M. ; PAULILLO, L.F.O.E. Redes de segurança alimentar e agricultura familiar: a merenda escolar como instrumento de desenvolvimento local. Cadernos de Debate (UNICAMP), Campinas, UNICAMP/NEPA, v. 7, n. 1, p. 33-44, 2005. ANDRADE, G.R.B. ; VAITSMAN, J. Apoio social e redes: conectando solidariedade e saúde. Ciência & Saúde Coletiva, Rio de Janeiro, v. 7, n. 4, 2002. ASSIS, A.M.O. ; SANTOS, S.M.C. ; FREITAS, M.C.S. ; SANTOS, J.M. ; SILVA, M.C.M. O Programa da Saúde da Família: contribuições para uma reflexão sobre a inserção do nutricionista na equipe multidisciplinar. Revista de Nutrição, v.15, n.3, p.255-266, 2002. BOURGUIGNON, J. A. Concepção De Rede Intersetorial. Universidade Estadual de Ponta Grossa. 2001. NUPES – Núcleo de Pesquisa em Desigualdade e Exclusão no Espaço Local – Textos de Reflexão – Disponível em: <http://www.uepg.br/nupes/intersetor.htm.> Acesso em: 20/jan/2009. BRASIL – Ministério da Saúde. Departamento da Atenção Básica. Programa Saúde da Família: ampliando a mudança do modelo de Atenção Básica. Revista Brasileira de Saúde Materno Infantil. v.3, n.1, 2003. BRASIL, Ministério da Saúde, Secretaria de Atenção à Saúde, Coordenação-Geral da Política de Alimentação e Nutrição. Política Nacional de Alimentação e Nutrição. 1 ed. Brasília: Ministério da Saúde, 1999. BRASIL. Portaria n. 2246, de 18 de outubro de 2004: Institui e divulga orientações básicas para a implementação das ações de vigilância alimentar e nutricional, no âmbito das ações básicas de saúde do Sistema Único de Saúde – SUS em todo o território nacional. Diário oficial da União. 2004 out. 18; Sec. 1:28-9. CASTRO, I.R.R. Vigilância alimentar e nutricional: limitações e interfaces com a rede de saúde. Rio de Janeiro: Fiocruz; 1995. DOMENE, S.M.A. Indicadores nutricionais de políticas públicas. Estudos avançados. v.17, n.48, p. 131-5, 2003. FERNANDES, C. Paidéia, o premiado projeto de saúde pública. Secretaria Municipal de Campinas, 2004. FERREIRA, V.A. ; MAGALHÃES,R. Nutrição e promoção da saúde: perspectivas atuais. Cadernos de Saúde Pública. v.23, n.7, p. 1674-81, 2007. GIOVANELLA L. A atenção primária à saúde nos países da União Européia: configurações e reformas organizacionais na década de 1990. Cadernos de Saúde Pública. v.22, n.5, p. 951-963, 2006. GONDIM, G.M. ; MONKEN, M. Territorialização em Saúde: diagnóstico das condições de vida e situação de saúde. Fundação Oswaldo Cruz. Rio de Janeiro, 2002. Disponível em: http://www.epsjv.fiocruz.br/upload/ArtCient/25.pdf. Acesso em 21/jan/2009. GONDIM, G.; MONKEN, M.; ROJAS, L.I. 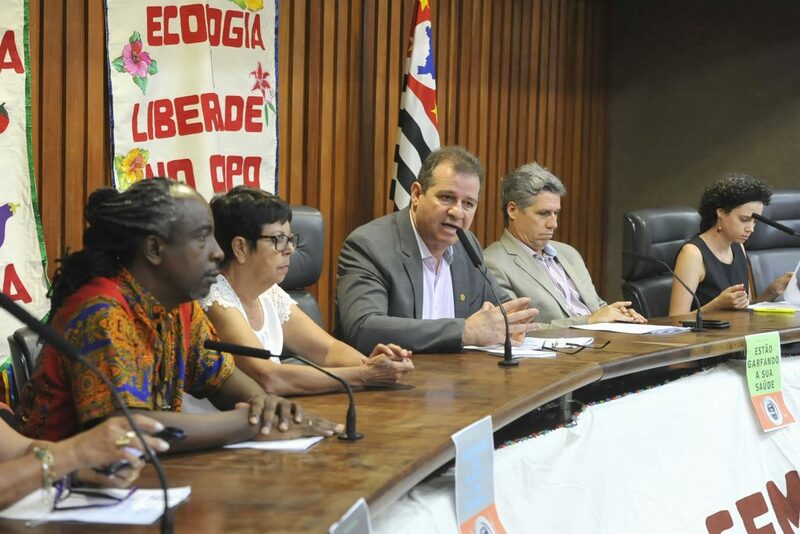 ; BARCELLOS, C.; PEITER, P.; NAVARRO, M.B.A. ; GRACIE, R. O território da saúde: Organização do sistema de saúde e a territorialização. In: MIRANDA, A.C.; BARCELLOS, C.; MOREIRA, J.C.; MONKEN, M. (Org.). Território, ambiente e saúde. 1 ed. Rio de Janeiro: Ed. Fiocruz, 2008, v. 1, p. 237-255. MARTELETO, R. M. Análise de redes sociais: aplicação nos estudos de transferência da informação. Ciência da Informação, Brasília, v. 30, n. 1, p. 71-81, 2001. ONU. Declaração Universal dos Direitos Humanos. Nova Iorque, ONU, 1948. Disponível em: http://www.mj.gov.br/sedh/ct/legis_intern/ddh_bib_inter_universal.htm. Acessado em 10 de fevereiro de 2009. ORGANIZAÇÃO PAN-AMERICANA DA SAÚDE. Vigilância Alimentar y nutricional em las Americas. Washington, DC; 1989. PINHEIRO, A.R.O. Reflexões sobre o processo histórico – político de construção da Lei Orgânica de Segurança Alimentar e Nutricional. Segurança Alimentar e Nutricional, Campinas, UNICAMP/NEPA, v.15, n.2, p.1-15, 2008. VALENTE, F.L.S. ; BEGHIN, N. Realização do Direito Humano à Alimentação Adequada e a Experiência Brasileira: Subsídios para a Replicabilidade. Brasília. FAO. 2006. 62 p.
WHO. Health Promotion Glossary. WHO/HPR/HEP/98.1, Geneva, 1998. Food and nutrition security; Human right to proper food; Popular education; Food and nutrition surveillance; Social networks. Work teams with specific functions oriented towards research and facilitation and/or organization of the SANS Network will be constituted for the materialization of the project. – Participation in forums and food and nutrition security events. – Consulting on sustainable food and nutrition security (conceptual). – Monitoring of the project stages that are under the responsibility of the team, according to the established verification methods. – Monitoring of the stages of the project under the responsibility of the team, according to the established verification methods. – Monitoring the stages of the project according to the established verification means. This group of professors will develop training activities, be able to invite others to participate and if willing, provide help to the work being developed in municipalities comprising the SANS Network. – Accounting and reporting expenses to FINEP. The project will be managed from Botucatu. The regional support structures will be higher education institutions (HEI) that are already partners or those that will become partners. It is important to emphasize that the virtual environment required for SANS Network communication may be provided by UNESP in any environment where broadband connection is available, which will make the participation of many people and institutions easier. The project team will essentially consist of grantees hired according to CNPq rules. However, when each participant signs a grant term, he will also need to sign a commitment term listing the fundamentals of the contract and his competencies, rights and obligations in the project. Resources for the acquisition of durable equipment and assets – The resources for the acquisition of durable assets will be exclusive of the project. Bidding (when applicable) and acquisition will be done by FUNDIBIO. Transportation expenses need to be considered together with the price of the asset. Resources for hiring third parties – Outsourced services will be bid and hired by FUNDIBIO based on the bidding term with a detailed data sheet of the service in terms of quality, quantity and deadlines. 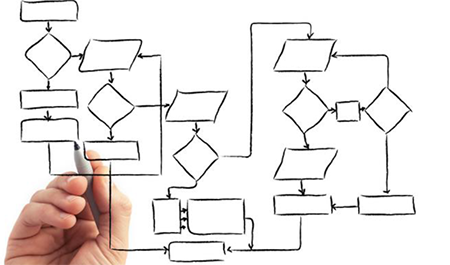 Resources for consultants – Consultants will be indicated by the project coordination team. The hired consultant must prove his experience and competence in the area of interest. When applicable, there will be a selection process for hiring individuals (editing technician). The payment will be done by FUNDIBIO per hour of labor. Grants – The grants provided by the project will be directly managed by the project team together with CNPq. The grantees will undergo a selection process conducted by the project team. All grantees will have a work plan, and based on this plan, will need to present monthly reports of their activities, following a preestablished model. Funds – Funds will be managed by FUNDIBIO together with the project and regional coordinators. The coordinators must provide an account of the expenses to FUNDIBIO monthly and access to further resources will depend on these accounts. FUNDIBIO will be responsible for training the individuals for using the resources. 1- Reduce the regional food and nutrition security inequalities in São Paulo, combining the local networks of the SANS Network by exchanging experiences and technologies, including the use of virtual means that facilitate communication and the construction of a common databank. 2- Train people for the use of virtual communication tools promoting access to this communication means as well as reducing inequalities. 3- Based on the knowledge of the complexities of the geopolitical, economic and cultural surroundings of the regions in the catchment area of each local network, attempt to establish partnerships that ensure the sustainability of the SANS Network activities. 4- By creating the SANS Network, we expect to generate autonomy, improve people for the production of technical and scientific material and to act in the communities and develop them, as well as expand the possibilities of disclosing data virtually. 5- By providing support to the local network so that they can solve their problems, we hope to contribute to the local development, especially through an intersectoral means. 6- Inclusion of academia in the productive environment (services), contributing with the teaching practices in the context of the social and economic reality of the country. 7- With information on the monitoring and nutrition education process, suggest alternatives to potentiate and correct (if such is the case) the actions of the primary healthcare network on SISVAN and other food and nutrition security actions in the local context. 8- Based on the disclosure and adaptation of technical training material, as well as the production and distribution of diverse media, contribute to the materialization of the National Food and Nutrition Policy, following the principals of universality, equity, integrality, decentralization, hierarchizing and participation in communication. 9- Subsidize the process of formation of the Family Health Support Centers (NASF), especially based on the constitution of an intersectoral team linked to the educommunication laboratory. 10- With the regional sensitization activities in consonance with the national and state policies and with the local promotion of the discussion of ideas, create conditions for the effective inclusion of food and nutrition security in the agendas of municipal public policies. 11- Improve the quality and catchment area of nutritional monitoring and nutrition education actions in the community, especially ensuring that the health team can attribute sense/meaning to this practice. The transfer of project results must contemplate the public food and nutrition security policies, focusing on primary healthcare in the three government levels. Integration with the three government levels must be sought during all stages of the project. The seminars shall count with government representatives involved in relevant public policies. The Department of Health of the state and the Regional Health Divisions are involved in the activities of the project. The results of the studies and technological development on food and nutrition security in the municipalities must be socialized and discussed with families, institutions and civil society, the sectors of services and production, the public managers of all areas (health, education, housing, agriculture, environment, planning, among others) and all those who are interested. The transfer of knowledge and technologies will be done by workshops and discussion forums and production and distribution of printed material. Local and regional networks must incentivize the organization of permanent forums for debates and propositions in themes of regional interest; promote the constitution of municipal councils on food and nutrition security; promote and support the full organization of society for the institutionalization of the local food and nutrition security systems. The virtual transfer of the project results is of unlimited scope. The virtual space will be organized in a way that allows all social actors, including students and experts, to search information. The site will contemplate interactive tools (mainly integrating the local and regional social networks), reference databases and experience reports. The recording of workshops and seminars in electronic media may also be made available at the site (provided the copyrights are not violated). The work of the local networks will be shown at the SANS Network site – the virtual environment – in order to promote the exchange of experiences between the social actors of each municipality, bringing people closer together. An important means to disclose the developed/learned technologies consists on the formation of multipliers. The formation of teams, especially in the citizenship territories, will provide conditions for the disclosure of knowledge and reduction of regional inequalities in the state of São Paulo. The technical and educational material produced will facilitate the diffusion of technologies and knowledge. The comparative study of the catchment maps, data quality, functionality of the system and the meaning of SISVAN as an indicator of food and nutrition security for the formulation of public policies by the three levels of government will be object of discussion in many forums of the civil society, in different levels of management of the Unified Healthcare System and other governmental areas. The results will also be disclosed in the scientific world. 1. Develop a virtual site, fed and used by a social network in 27 municipalities in the state of São Paulo working food and nutrition security in an combined manner (SANS Network). 2. Create 27 intersectoral teams with competence to coordinate and animate the SANS Network, prioritizing the Citizenship Territories. 3. Create a propositional diagnosis regarding qualitative and quantitative SISVAN actions in the state of São Paulo. – Promotion of interchange among students and researchers in the state of São Paulo by prioritizing the local human resources in the composition of the teams. – Proposition of alternatives for education on health and food and nutrition security. – Facilitation and reduction of the communication costs among SANS Network actors. – Promotion of the initiatives related to environmental education and agroecology, especially associated with health education. – Subsidies for the policies that promote health based on a proper and healthy diet. 1. Nutritional and dietetic epidemiology – Research and development of technologies in the area of nutrition through epidemiological and clinical studies. This line includes research and development in the area of food and nutrition surveillance by primary healthcare, the food and nutrition conditions of the elderly and morbidly obese, and study on bioavailability of nutrients and bioactive substances in foods. 2. Health, nutrition and environmental education – This area aims toward the research and development of communication methodologies and resources for educational practices in the community context. 3. Food production, processing and consumption – Research and development of food production technologies emphasizing on agroecology, collective feeding and its safety in the productive chain. This line includes research and development of horticulture, small-scale food transformation, toxicology studies and sanitary control of foods. In the area of communication, we will count with the participation of Professor Milton Koji Nakata, who will aid in the production of visual material to support the workshops and virtual environment. Adelidia Chiarelli will be hired to conceive the virtual environment and edit the material produced. She is very experienced in this area and has had professional partnerships with professors from the Department of Education, which is already participating in the discussions about the project. Social networks consultants will also be hired. In addition to its president who dedicates himself full-time, INHAH’s work counts with the collaboration of members from all over the country, which will be very important for the activities of the virtual forum. Additionally, INHAH hires specific technicians depending on the needs of the projects. Paulo Milton Barbosa Landim – Professor emeritus of Universidade Estadual Paulista/UNESP, expert on statistics and georeferencing. Among the researchers of the research group registered in the CNPq under “Nutritional and Dietetic Epidemiology” and under the leadership of the coordinator of this project, the following individuals will participate as visiting researchers: Telma Maria Braga Costa (UNAERP/Ribeirão Preto) and Miriam Coelho de Souza (UNIMEP/Piracicaba). Although Professors Francisco Luiz Araujo Câmara, Alberto Medici and Aluízio Almeida Schumacher are from UNESP, they have been included in the category of visiting professors because they are from another unit. These professors are from the School of Agricultural Sciences and have provided consulting services to us regarding urban and peri-urban agriculture issues and social sciences. The proposal involves the doctorate studies of the graduates Rita de Cássia Pereira, Daniela Elias Goulart de Andrade Miranda, Érika da Silva Bronzi and Valdete Regina Guandalini. The project team will consist mostly of grantees, some of which will be indicated in the present proposal. The indication criteria include the necessary and desired skills for each project function, and the invitation is made based on the knowledge that we have of the work and availability of the indicated students and professors. Some of the grants will be selected at the beginning of the project, but given the characteristics of the project, we believe it is critical for those who are already in the process to remain. The project aims to develop a virtual site, fed and used by a social network present in 27 municipalities of the state of São Paulo, working food and nutrition security in an integrated manner (SANS Network). Form 27 intersectoral teams with competence to coordinate and animate the SANS Network, prioritizing the Citizenship Territories. 2. Carry out 24 (twenty-four) coordination visits in the 27 municipalities of the SANS Network. 24 (twenty-four) reports of the visits of each of the six regional coordinators. At least 27 products, one for each municipality of the SANS Network. As specific requirements, we emphasize the characteristic of the proposal. The proposal is a work that will be developed with all the rigor of the scientific method and, simultaneously, not ignoring the dynamics of the social practice, where “the road is made by walking.” With each passing day, more is known about the multidimensional nature of problems and the inappropriateness of compartmentalized knowledge for solving them. In this sense, we hope the university will promote contextualization of knowledge and generate a more global knowledge. The project intends to adopt an approach that considers the complexity of the facts and is guided by interdisciplinarity, whose characteristics go beyond the web of knowledge, since the aim is to push the boundaries of each discipline in an attempt to develop creative solutions for social dynamics-related issues that benefit everyone. The challenges that higher education (teaching, research and extension) will assume in the sense of changing the social values radically, which today are facing a deep crisis, point to the need of making the university system more flexible and in harmony with the labor and social worlds, in order to develop the human being and exercise citizenship. In this same sense, radical changes should also occur in the exercise of governing and citizenship. Hence, the requirement for assessing this project refers to a comprehensive look of the appraiser. – Only the budgetary allocations may be changed. The number of installments and the respective amounts remain identical to those of the original work plan.